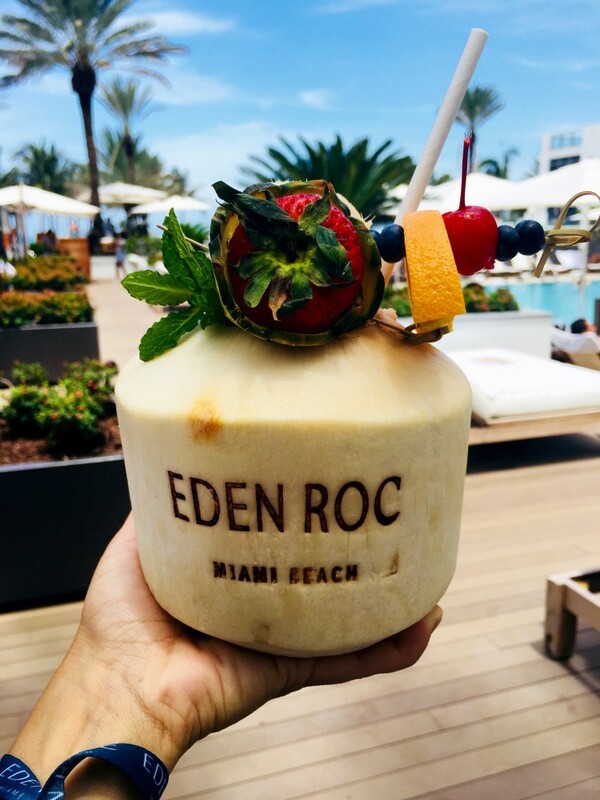 Eden Roc Miami Beach has a long trusted history dating back decades but that doesn’t stop this hotel from being glamorous and trendy to fit right in with the vibrant and bustling beach city it’s located in. This iconic landmark is totally renovated to fit the modern traveler looking for a luxurious stay in Miami. It’s this rebranding that makes it feel completely new despite originally opening in 1956. 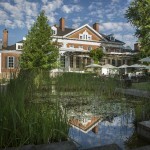 This famous hotel is known around the world and you probably already know someone that has stayed here and loved it. 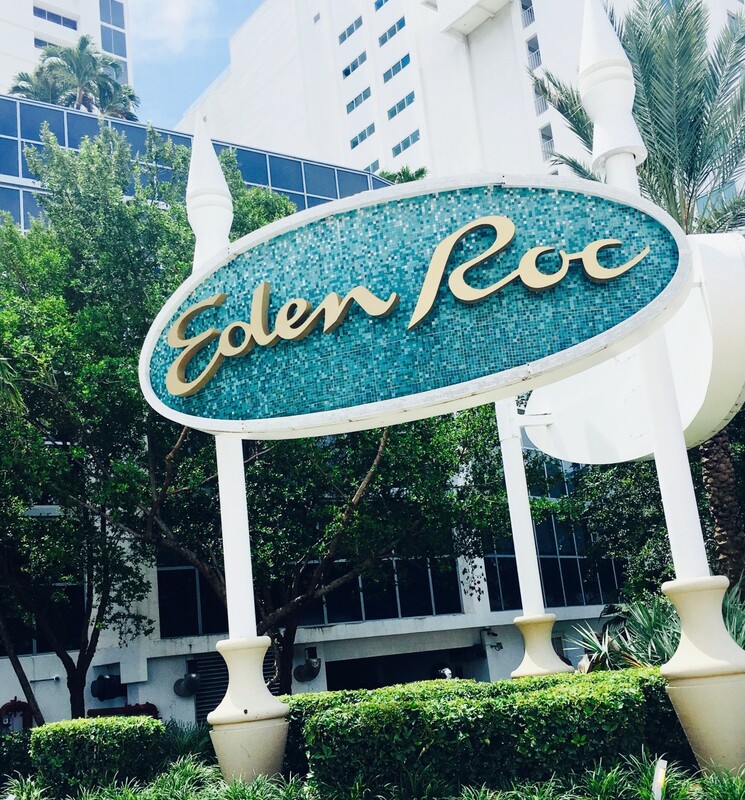 Located in the heart of the city, Eden Roc is close to all the wonders of Miami. 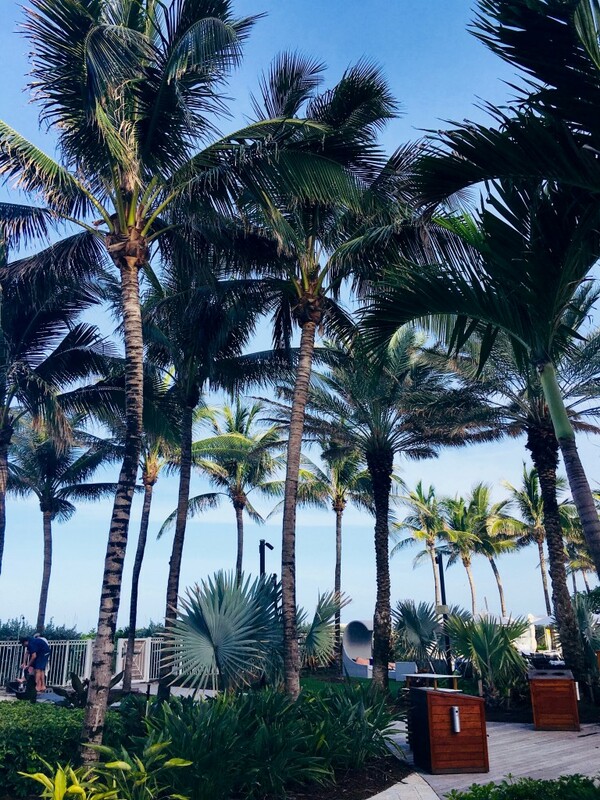 For guests wanting to save money for nearby sightseeing in Little Havana, South Beach, and Ocean Drive, they can sign up for Eden Roc’s new all-inclusive option, the only hotel in Miami offering this package. Eden Roc is perfect for multi generational travellers and families with kids of all ages. It’s situated right on the beach, so all I needed to do to get my fix of Vitamin Sea was walk outside. Within minutes my feet were sinking into the soft sand and the stunning Atlantic Ocean welcomed me. There are plenty of beach chairs to soak up the sun so bring your favourite book and relax with the waves crashing against the shore. 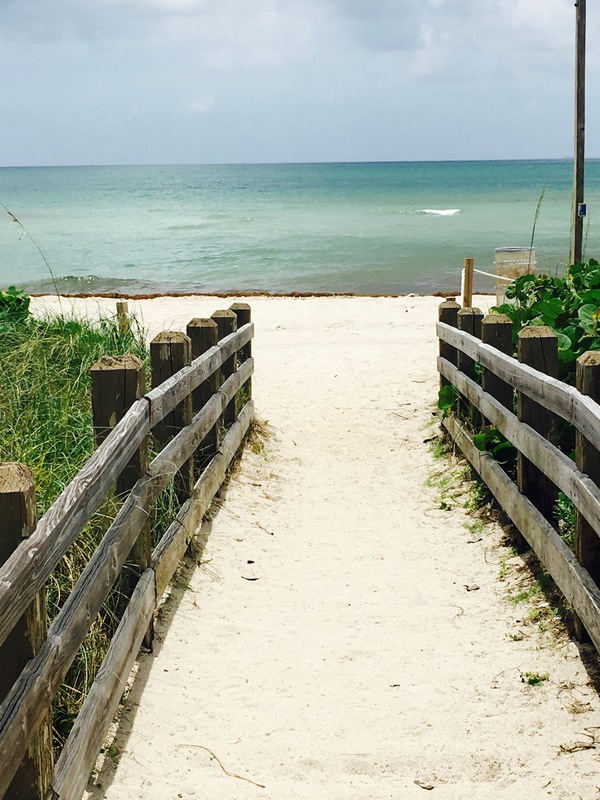 If you love walking along the beach you are in luck as the oceanfront seems to stretch forever and you can walk in either direction until you get tired. The moment I walked into my renovated room I was greeted by a view of the ocean stretching for miles and was instantly mesmerized by the beauty around me. A huge comfy king size bed placed directly in front of the glass doors was the perfect touch (the fluffy pillows and duvet helped too). You can literally lie in bed and stare at the waves rolling in, which I did every morning after sunrise. Or have a coffee on the oversized balcony and people watch from up above. The 415 rooms and suites include luxurious bathrobes, high speed WIFI, flat screen TV’s, coffee machines, Bluetooth radio speaker system, rainfall shower head, in-room safe and many more luxurious items. Accommodations are pet friendly so you can travel with your favourite pooch if you choose to. As a vegan traveler I am often weary about what I will eat when dining on hotel property. 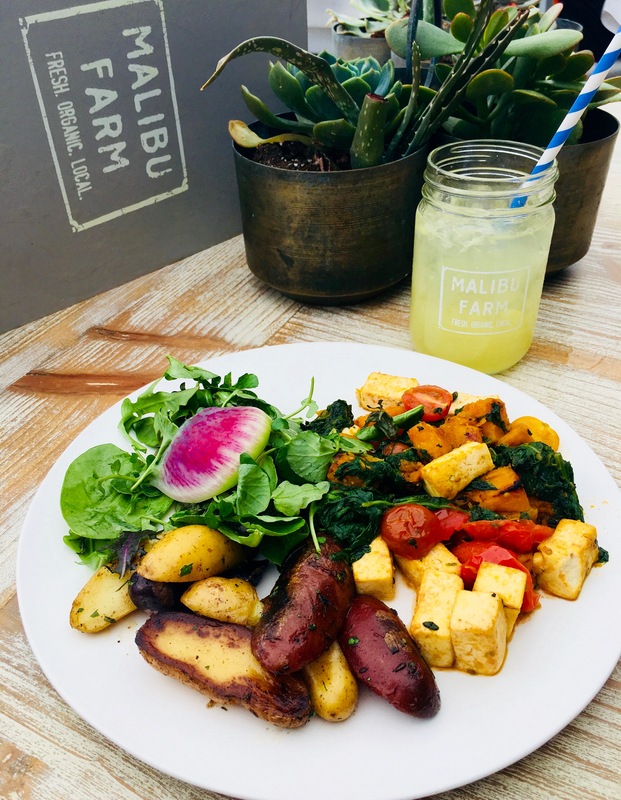 So imagine my happiness when early one morning I discovered a delicious vegan tofu scramble at the brand new Malibu Farm right at Eden Roc. Chef Helene Henderson expertly creates farm-to-table food to suit everyone’s taste buds. It’s a small locally owned business and the food is prepared using whole grains, lots of fresh veggies and fruits, and other locally sourced healthy ingredients. Chef Henderson, born in Sweden, has published a cookbook and has two other restaurants on the Malibu Pier in Los Angeles, so needless to say she is an expert on creating tasty meals and happily encourages guests to eat more veggies. I loved Malibu Farm’s Vegan Chop Salad (with butternut squash, avocado, purple beet, kale, an garbanzo beans) so much that I ordered it on two separate occasions. For a light snack try their Crudité with seasonal garden veggies, garbanzo bean hummus and green goddess dressing. Malibu Farm also has a variety of signature cocktails including Watermelon, Mint, and Pear infused with rosemary pear agave and lemon juice – the perfect drink to enjoy while staring out at the Atlantic Ocean. Or for a treat the whole family can indulge in, head to the pool and order an entire coconut with fruit chopped to perfection right in front of your eyes. 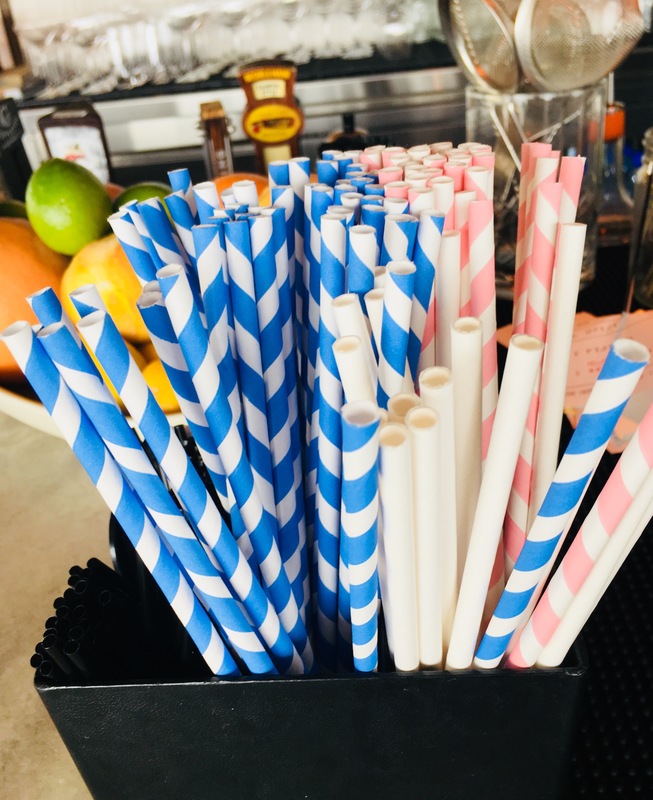 To help the environment guests can slurp up their drinks with cardboard straws instead of the traditional plastic. 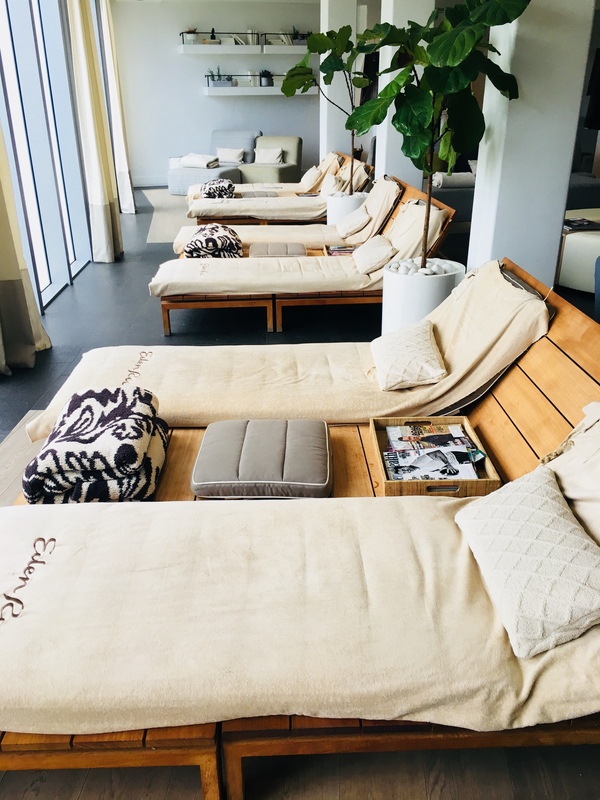 I was super excited to check out Eden Roc’s on site wellness spa, Esencia, that includes beauty salon services and a trendy technogym with daily group fitness classes. I choose to indulge with the Sunshine Facial and couldn’t wait to be pampered. This antioxidant treatment relieves sun-damaged skin with high concentrations of Vitamin C and uses citrus aromas that had me relaxed in no time. The neck and hand massage helped too! Arrive for your treatment early and take advantage of the hydrotherapy circuit including whirlpools, plunge pools, saunas, and a hydro-experience shower that will invigorate your senses to the core. After your treatment relax in the spa lounge sipping on flavoured water or tea and munching on healthy snacks. 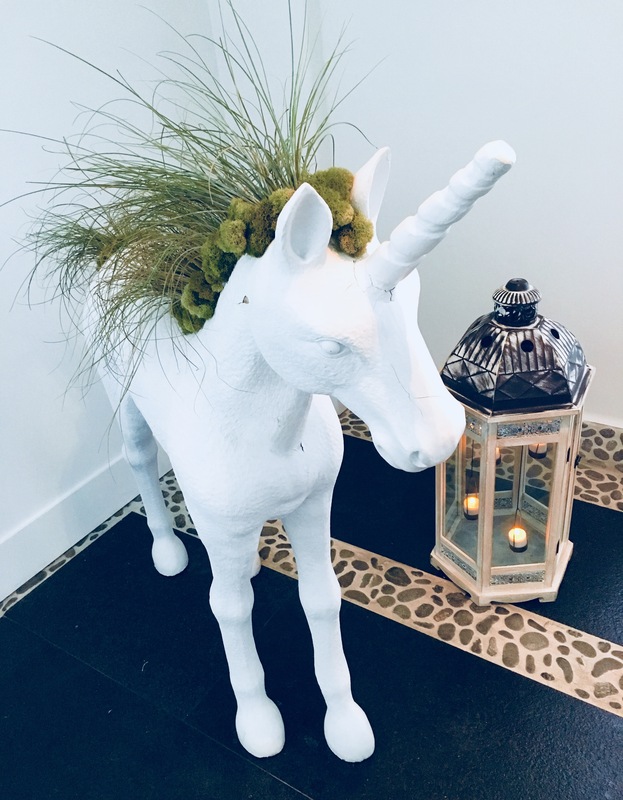 I was particularly intrigued with the unique artwork in and around the spa including a friendly unicorn with plants growing right out of it. Upon more research I discovered these original creatures are the creation of Plant The Future, a Miami based design firm that fuses architecture and art with nature. They started their business in the Wynwood Arts District, a fashion inspired neighbhourhood about 15 minutes from Eden Roc, and a fun place to check out during your time in Miami. Other amenities at Eden Roc include three refreshing swimming pools, cabana rentals, water activity rentals, and complimentary bike rentals so you can explore this exciting city by bicycle. Eden Roc Miami Beach is located at 4525 Collins Avenue in Miami Beach, Florida. For reservations and more information about their best rate guarantee click here. The writer was a guest of Eden Roc Miami Beach, they did not review or approve this article.